Twenty miles east of Senegal’s capital city, hundreds of guests arrived in Senegal’s newest city, Diamniadio, for the grand event. Youth photographers snapped pictures of the guests before they strolled down the green carpet. In fact, the stars of this event included the entire guest list — the dedicated volunteers, leaders, partners, and participants who support the engagement of Senegal’s youth in the country’s economic growth. 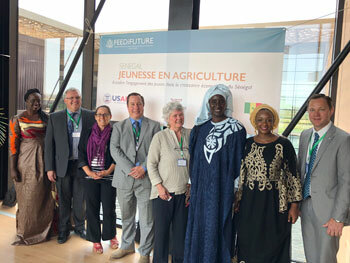 On May 22, the Center for International Research, Education, and Development (CIRED) officially launched its newest project, Feed the Future Senegal Jeunesse en Agriculture (Youth in Agriculture), at the Centre International de Conférences Abdou Diouf in Diamniadio. Funded by USAID, the five-year, $4 million project will carry on the work of the CIRED-led Education and Research in Agriculture (ERA) project in Senegal by expanding 4-H clubs across the country and institutionalizing positive youth development (PYD) nationally. 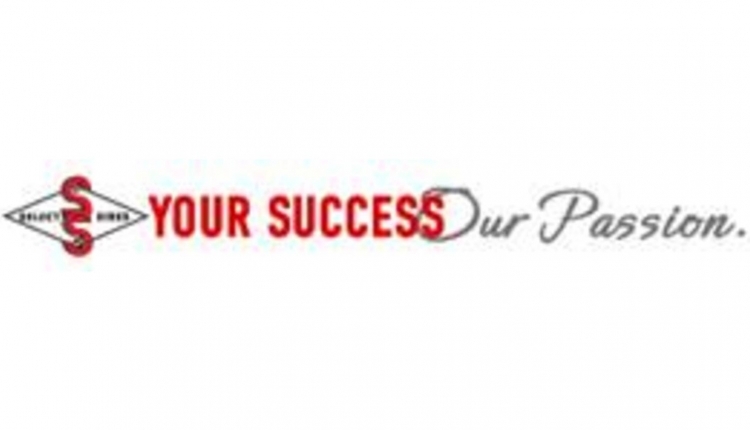 The project will also work with vocational training institutions to strengthen their connections to private-sector actors and markets, including the piloting of innovative approaches for creating entrepreneurship and income-generating opportunities for youth. Youth who work with the ERA project hosted the ceremony, which featured adult and youth speakers representing Virginia Tech, USAID/Senegal, and the government of Senegal, as well as Senegalese agricultural institutions and women’s food processing platforms. Guests were also treated to video highlights, commemorative photos, and a “wall of fame,” a display in which participants wrote messages in support of the project. Staff from Virginia Cooperative Extension were on hand to provide support for many of the activities. In 2015, the 4-H Senegal PYD program was established in Toubacouta, south of the capital of Dakar, as part of the ERA project. Modeled after the 4-H Youth Development program of the Cooperative Extension Service and land-grant university system in the U.S., the 4-H program in Senegal has already attracted more than 600 members. Jeunesse en Agriculture will remain housed under ERA during the project’s first year. Subsequently, the project headquarters will be embedded within the Ministry of Higher Education, Research, and Innovation’s new offices in Diamniadio as well as in the regional offices of the national PYD program within universities.